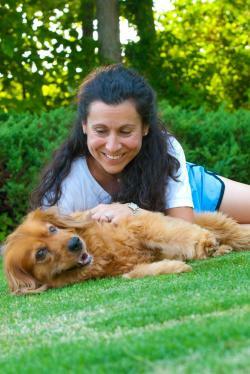 Many people know Dunwoody&apos;s the perfect home base for an Atlanta visit. It&apos;s a short 10-minute MARTA ride away, which makes it easy to unpack in Dunwoody and head out for a Braves game the same day. But what if you made the trip from Atlanta to Dunwoody, instead of the other way around? What if you stepped outside the hustle and bustle of the big city to slow down? What if you got a breath of fresh air or took a walk on the wild side? Stop thinking what if and start thinking about a trip to Dunwoody&apos;s outdoors. It&apos;s right #OutsideAtlanta. 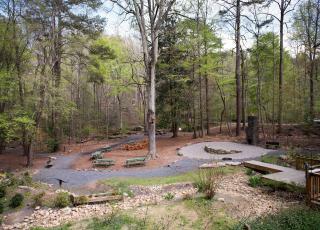 The first stop on your #OutsideAtlanta tour is the Dunwoody Nature Center on 5343 Roberts Drive. 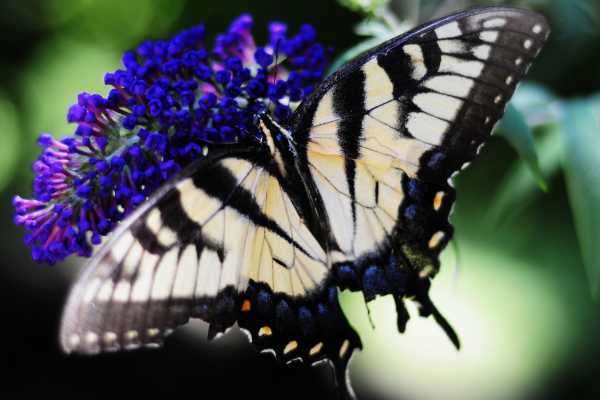 No matter the season, the Nature Center is a haven for wildlife and natural beauty in Dunwoody. 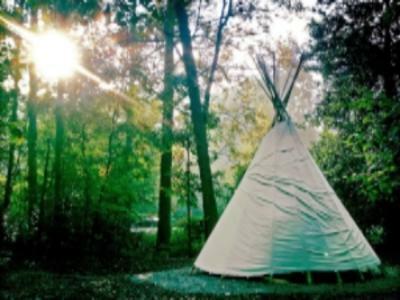 Discover gardens, a tree house, and a real teepee, or simply stroll through the woods in true Thoreau style. Walking trails intertwine with peaceful streams, and an innovative playground entertains explorers of any age. 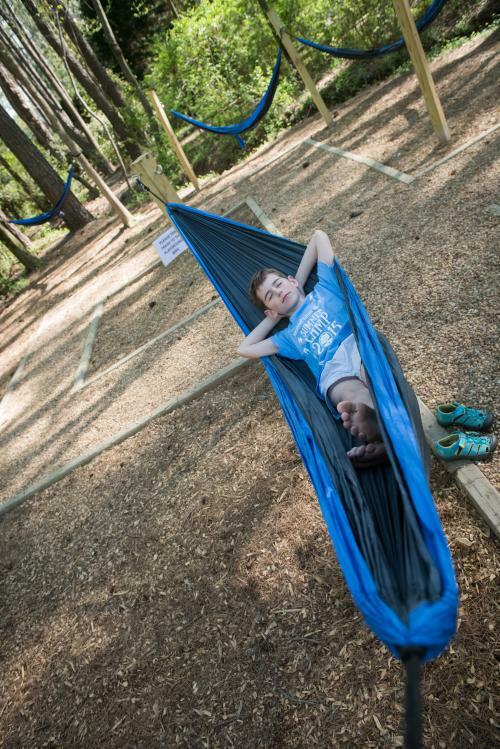 If you&apos;re seeking a moment of peace and quiet in nature, try the tree swings or hammocks. That&apos;s right - tree swings. Not just for kids. 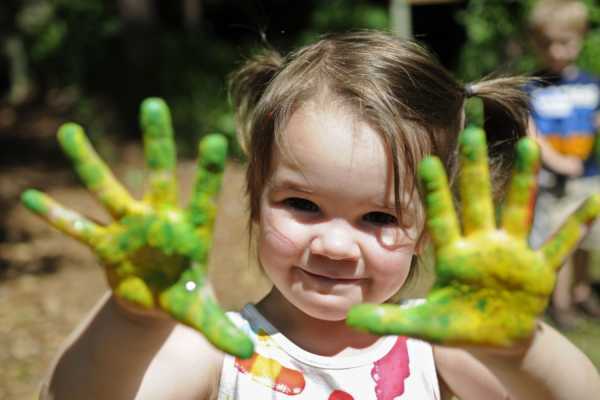 The Nature Center offers classes, events and activities for all ages, as well as field trips, youth programs and summer camps. Now that you&apos;re one with nature, let&apos;s move on to the more extreme side of Dunwoody&apos;s outdoors. 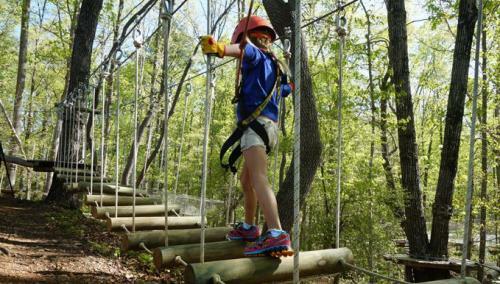 Treetop Quest takes you from #OutsideAtlanta to above it - quite a few feet above it, in fact. Conquer adventure courses up to 55 feet above the ground and ride zip lines stretching more than 200 feet. While experienced guides are available for instruction, thrill-seekers can take self-guided tours through specialized ropes courses. 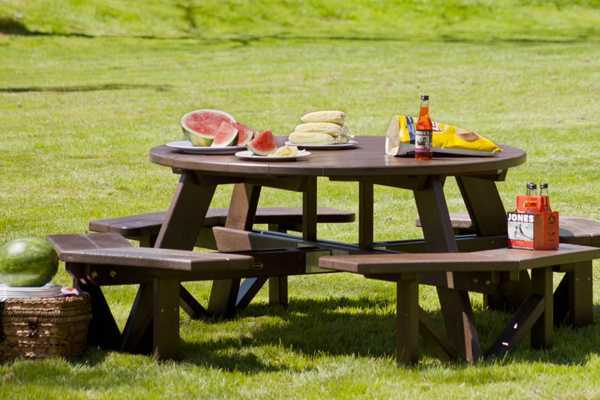 You&apos;ll feel that euphoric rush of adrenaline while also feeling safe within Treetop&apos;s highly secure environment. Families, friends and groups alike can swing by for the fun at 4770 N. Peachtree Rd. Check their website for hours and reservations. When you&apos;re ready to wind down #OutsideAtlanta, the best place to wind up is at a park in Dunwoody. Seven parks span 170 acres in Dunwoody, offering ample green space for picnics, hiking, biking, dog walking, skateboarding or just a nap under the sun. Brook Run Park, Dunwoody&apos;s largest park, features recently revitalized playgrounds, trails, an off-leash dog park, event pavilions and more. 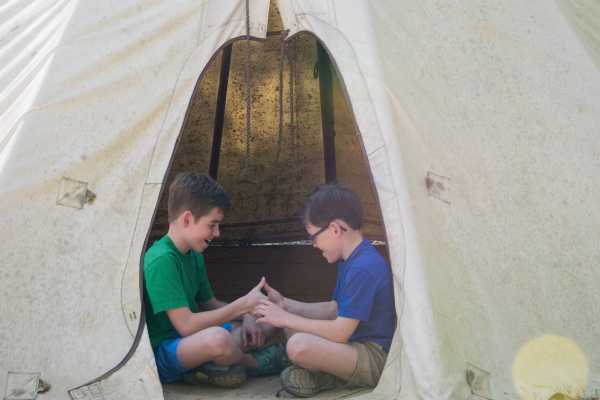 The historic Donaldson-Bannister Farm offers five acres of fun, with event space available for reservation and open lawns for play year-round. At Georgetown Park, there&apos;s a gazebo, decorative fountain and bocce courts perfect for an afternoon out and about. 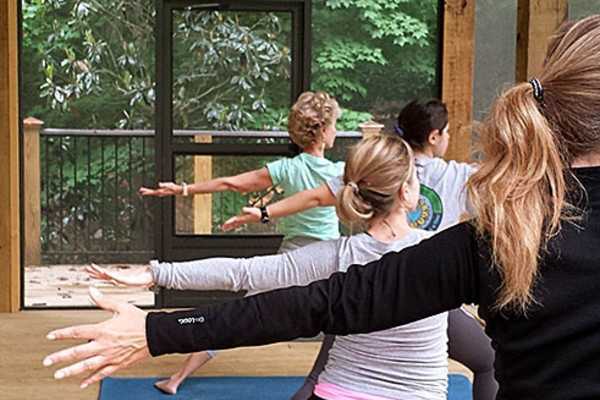 While exploring, don&apos;t overlook the lovely and serene Vernon Oaks Park, Windwood Hollow Park, the previously mentioned Dunwoody Nature Center, and our newest one - Pernoshal Park. We&apos;re not so naive as to think you won&apos;t bring your phone along on your outdoor adventures in Dunwoody. We get it - that view of the blue sky peeking through the tree branches from your hammock at The Nature Center is just too beautiful not to share. When you do snap a pic in Dunwoody&apos;s outdoors, be sure to tag it with #DiscoverDunwoody. We&apos;ll like it, love it, and maybe even make you famous by sharing it on Dunwoody&apos;s socials. The flowers are blooming, the birds are chirping, and the sun is FINALLY here to stay! Now is the time to get out t.. The Best Dunwoody Foods to Pack for.. Warm weather is here, which means it’s time to take a break from Netflix and get outside. What better w..
Treetop Quest: Your Ticket to Fly t..
Admit it. You always envied Peter Pan because he could fly. Well now you can too and you don&apos;t even have to tr.. The Family&apos;s Guide to Summer in Dun.. So, Dad ran over the sprinkler and last year&apos;s lemonade stand is now a successful Airbnb for raccoons. As we l.. Eight Surprising Ways to Relieve St..
5 Awesome Play Dates You&apos;ll Wish Yo..
When&apos;s the last time you went on a date? The type of date where you lose track of time, can&apos;t stop starin..